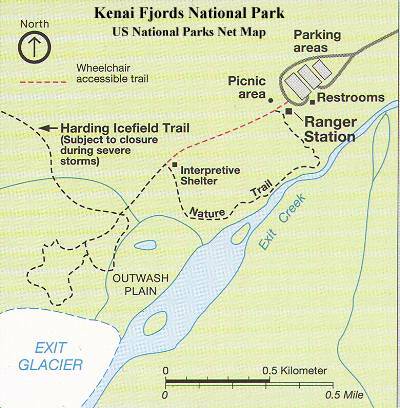 The only part of the park accessible by road is Exit Glacier. Here you can stroll the trails, walk very close to an active glacier, or take a ranger-led walk. It is a place where you can witness up close how glaciers re-shape a landscape and learn how plant life reclaims the barren rocky land exposed by a glacier’s retreat.